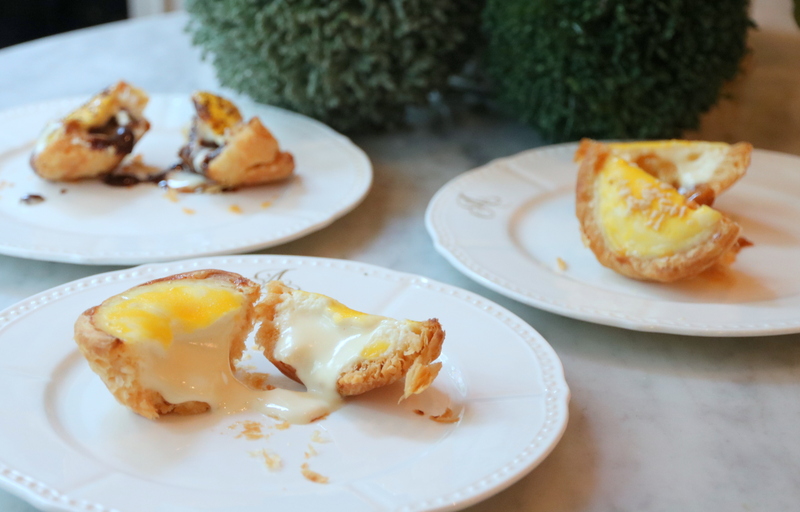 What’s new: The cheese tart game is strong in Singapore right now. From 20 April, Antoinette is launching a selection of five cheese tarts. Yes, you heard it right. Chef Pang is inspired from his recent Japan trip and has decided to offer the cheese tarts at Antoinette for a limited time. As of press time, these tarts will only be available at Antoinette Penhas Road outlet. The cheese tarts: On to the flavours, I must say there is something for everyone and you should be able to spot or have at least one favourite out of the lot – vanilla, salted yolk, matcha, chocolate and caramel. My personal favourites are the Vanilla ($2.60) and Matcha Cheese Tart ($2.60). The former is Antoinette’s original mix of two different cheeses with Madagascan vanilla extract, while the latter uses matcha powder from Nishio, Japan. Interestingly, the cheese tarts here have a puff pastry texture to give that added flakiness. Other crowd-pleasing flavours include Salted Yolk Cheese Tart ($3), Salted Caramel Cheese Tart ($2.60, Rantee’s favourite) and Grand Cru Chocolate Cheese Tart ($3). The chocolate flavour is the richest of all for me, made with a mixture of 55% and 64% French chocolate. The verdict: I was a little skeptical initially about the cheese tarts as it seems too much for Antoinette to handle after launching its croissant series (more details here). The experience, however, was a pleasant one as I find myself addicted to it right now, having tried similar cheese tart concepts from BAKE in Bangkok and PABLO Cafe in Tokyo. One thing for sure, it was way better than the BAKE cheese tarts we had in Bangkok, which incidentally is opening in Singapore on 29th April at Ion Orchard. We say, gather a few friends to try the various flavours available at Antoinette, let us know which is your favourite flavour.